Hello! My name is Cade Spencer, and I am a Sophomore member of the Bowie Dispatch Team. I am really excited for my first year on the staff, and I am looking forward to increasing my writing and interviewing skills. 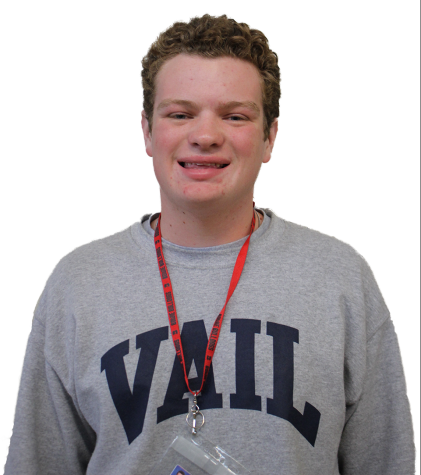 I am also excited to be a member of the staff because writing is a passion of mine, and being a member of the Dispatch will allow me to write all of the time. I especially want to write news stories that help keep Bowie students aware and updated on major events in the school. In school I am also a member of the Bowie Buddies club and the Bowie Swim and Dive Team. In addition, in my free time I enjoy reading, watching netflix, swimming, and hanging out with friends. I’m ready for the 2018-2019 year!